Robots are of huge value. We’re using robots for subsea exploration, interplanetary explorations, for expanding our nuclear industry. It’s no surprise if they’re able to do everything at some point in the future. In fact, the robotic revolution has got to a point where we’re seeing applications in new industries. Take for example, the construction industry which is using construction robots to make work more efficient. Big architects like Bjarke Ingels, Wolf D Prix, claim construction robots are the future of the construction industry. In 2016, we’ve seen increased use of robots in industries like construction. More companies are now using robots to do repetitive tasks on construction sites and to make human jobs safer. 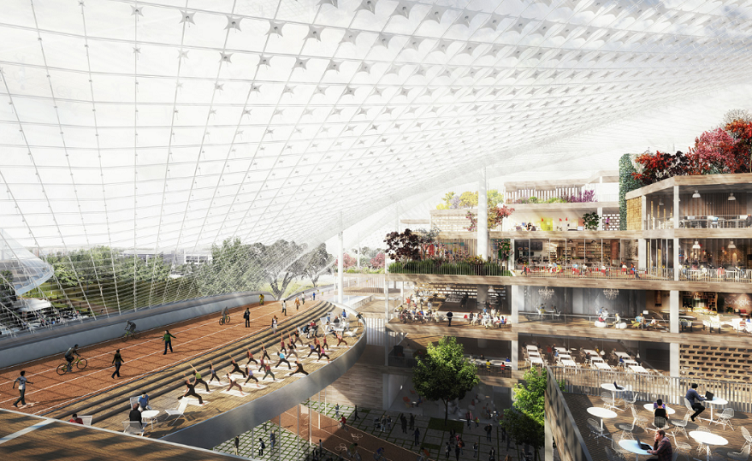 Bjarke Ingels and Thomas Heatherwick are using robot-crane hybrids to build Google’s proposed California headquarters. Also known as ‘crabots,’ these machines will be used to build most of its internal structures. According to the planning reports, the crabots are a “range of small flexible manageable cranes and robotic machines”. The Google crabots will move freely across the entire site to establish a “hackable system for the building of the interior structures”. They are in use to lift and move prefabricated materials, elements of furniture and services. The prefabricated materials are essential to the designers’ proposal for creating a hackable workplace system. The materials used will be lightweight and mobile structures instead of permanent concrete buildings. All things considered, the usage of crabots to build a hackable (customizable) system will allow easy and affordable reconfiguration of space throughout the building over the years. A San Francisco-based drone startup, Skycatch, is using drones on high-profile building projects. These drones are help get a bird’s-eye view of the construction site and receive progress reports. Additionally, the drones are used to speed up the logistics of the construction by monitoring deliveries. Similarly, a Japanese construction machinery giant Komatsu, is using Skycatch drones to provide the eyes for automated bulldozers. These drones send 3D models of a building site to a computer which then feeds the images to unmanned machinery to navigate. Last year, Australia’s Fastbrick Robotics shared a video of a bricklaying robot which can place 1,000 bricks an hour based on a CAD drawing. The construction robot can finish the shell of a new hour every two to three days, complete with plumbing and electrical. Robots have evolved to a point where they don’t need reconfiguration, they can adapt on their own. In a complicated industry like construction, the use of robots will make building sites less hazardous. They’ll even change the roles played by humans by taking over repetitive, time-consuming tasks. Although, this doesn’t mean that human construction workers will become redundant.